Last week, Rick Stein cooked for the Prime Ministers, David Cameron and Narendra Modi, who was visiting from India. 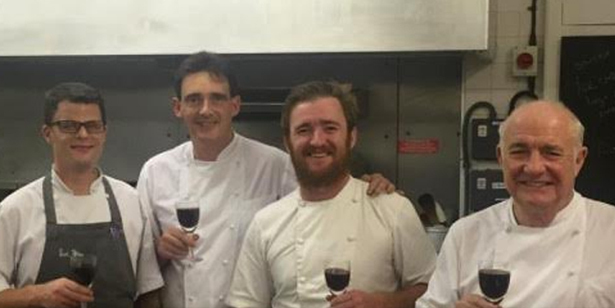 He was joined by his son, Jack Stein, Stephane Delourme, head chef at The Seafood Restaurant and Dan Hine, senior sous chef at The Seafood Restaurant. The Prime Ministers enjoyed a three course dinner at Chequers, including British Autumn Salad of Beets and Roots, Porcini Mushroom Pulao, Tarka Dal and Kachumba Salad and Mango Fool. Rick designed and prepared the menu, inspired by his own travels through India, exploring the country’s different cuisines as part of his tv series and book.